National Commercial Bank, Saudi Arabia’s largest lender by assets, is wrapping up a $6 billion IPO that will be the largest ever in the Middle East and the second-biggest of the year to date globally, after Chinese e-commerce company Alibaba’s $25 billion IPO in the US in September. The NCB issue was open only to Saudi nationals, but it highlighted the opportunities that will be available to foreign institutional investors by the middle of next year, when the kingdom’s $590 billion stock market will permit them to invest directly for the first time. NCB, the only unlisted lender among Saudi Arabia’s 12 domestic banks, offered a 25% stake in the company, with subscriptions closing November 2. The bank said it would sell 300 million shares to individual Saudi investors and 200 million shares to the state-run Public Pension Agency. Several Saudi clerics expressed their disapproval of the IPO, saying that the bank accepts interest, which is not permitted under Islamic law. 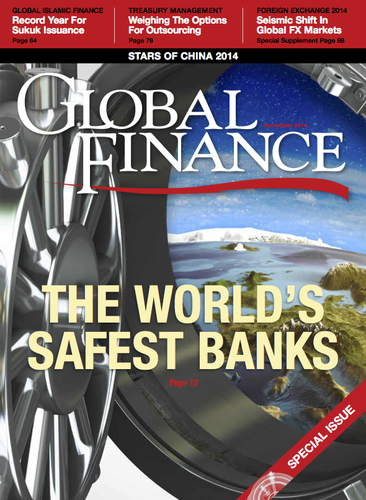 HSBC and Gulf International Bank were financial advisers for the sale. Meanwhile, Emaar Properties, Dubai’s biggest listed company, was overwhelmed with orders worth $43 billion for its $1.6 billion sale of a 15% stake in its shopping malls unit. That followed an IPO by Marka in September on Dubai’s main market, the first in five years. Marka invests in new retail and dining businesses. In stark contrast, Bahrain’s first IPO since 2010 met with weak demand in a market suffering from poor liquidity. Zain Bahrain, a unit of Kuwait-based telecom Zain, was able to sell only one-third of a $24 million offering to the public, despite extending the offering period by two weeks. The investment banking units of Gulf International Bank and National Bank of Kuwait handled the sale, with GIB serving as underwriter. Economists at Capital Economics in London say they doubt that equities in the Gulf will be able to perform as strongly in the future as they have in the past 12 to 18 months. Economic growth in the region is likely to slow, and if oil prices weaken further, it would add to the headwinds, they say. 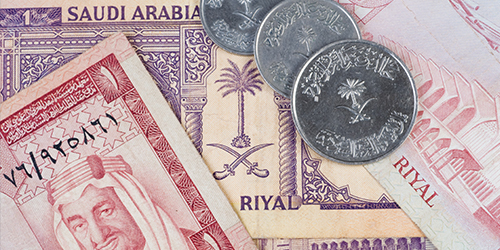 Saudi Arabia’s budget seems likely to swing from surplus to deficit in the near future, Capital Economics says. While the kingdom could easily finance budget shortfalls for years to come, the government is unlikely to boost its spending at the same pace as in recent years, the firm says. That would diminish what has been a key driver of the economy over the past decade.